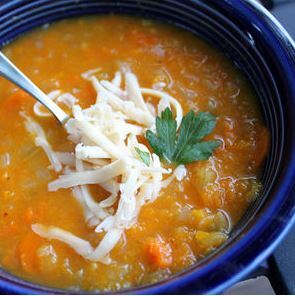 Cool fall weather has us thinking comfort food – soups, stews, risotto, etc. 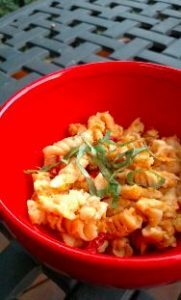 This recipe caught our eye and it really satisfies. One medium squash can make this recipes four times over. Below is breakdown of the types of cheese we used, but you can mix and match to include all your favorites. Sharp cheddar – Yes, we added even more cheese. A bit of sharp cheddar. Feta might be a good choice as well. 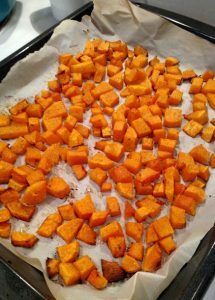 Shredding squash – Initially, seemed kind of intimidating, but we didn’t want to muck up a food processor so we just shredded the squash with a food greater. Worked well and didn’t take long. Spicing it up – For those who like a little heat, we’d suggest adding some peppers. We’re going to give that a shot next time around. Cool temps have us thinking of warm comfort foods. It’s soup weather, everyone! 2. 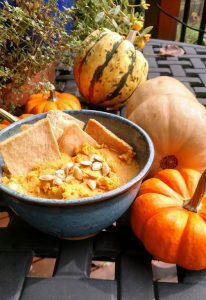 Without Cream – Butternut Squash Bisque – to make it kid friendly, maybe skip the ginger? We love that flavor note, however. This particular blog post is authored by a cousin back east. Good stuff. Seems that we are all thinking comfort foods this time of year.